That suicide joke at the end was pretty insensitive. Trump is bad, but come on. Yep. Bad as Trump is, this is one instance where I’d definitely rather be part of the problem than part of the solution. 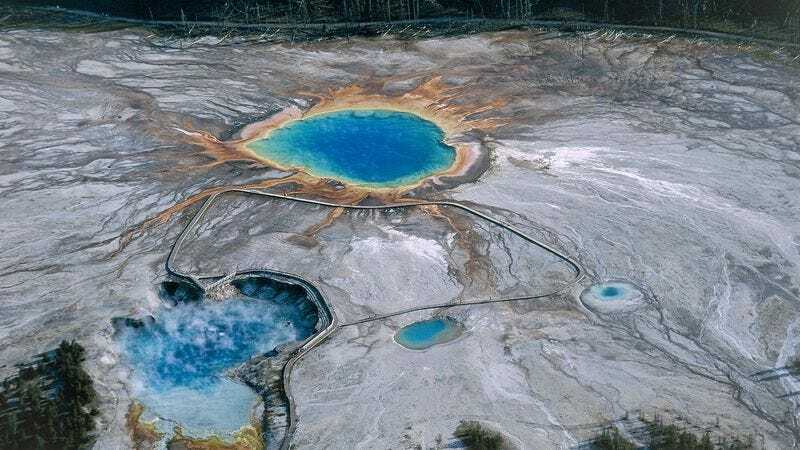 On that note, there seems to be a significant amount of fervor that the entire Yellowstone “supervolcano” is totally going to blow any moment now and just ruin everyone’s day… so perhaps none of it matters at all, eh? also if that thing goes there isn’t much of anywhere in north america that isn’t fucked… may as well get a good seat to the show when it happens. There’s a terrific book called Death in Yellowstone: Accidents and Foolhardiness in the First National Park by Lee Whittlesey that’s full of these sorts of stories. Definitely worth a read. Veress said the park posts warning signs for important reasons, "… because it is wild and it hasn’t been overly altered by people to make things a whole lot safer, it’s got dangers. Isn’t death safe? Humans and others have been doing it for countless years. Didn’t you know that nowadays there can be no discussion about any subject without at some point mentioning Trump? We need a new version of Goodwin’s law. I expect the same thing with Trump for 4 years, and then whomever is next for 4 years after that. Very good. My chemistry is so bad, if I try to keep the theme going, I will quickly get into hot water. Better hope they don’t find anything worth fracking under there. No no no, I’m sure I read about this somewhere! Yeah, no thanks. I got fairly nauseous just reading the OP. And inevitable. Unless you are a hydra. Or if we can put our brains into computers. 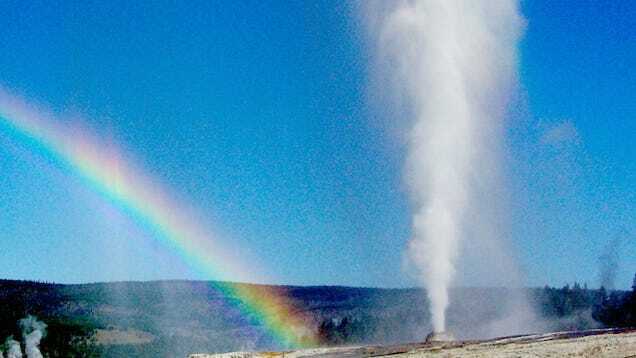 There are definitely a lot of ways for a foolhardy person to get themselves killed in Yellowstone. I still remember the family trip I took there at age 7 or so when I saw a tourist posing next to a herd of bison resting near the side of the road. He nudged one of the bulls with his foot to try to get it to stand up for the picture. It didn’t seem to enter his head that annoying 1,500 pounds of untamed muscle and horns might be a bad idea. Because I guess people think Yellowstone is a “Westworld”-esque theme park where everything is designed not to hurt human beings? I’d say “…and nothing of value was lost”, but the springs would have been damaged. I read Off the Wall: Death in Yosemite. Awful prose, but damned compelling anyway. I posted this earlier this year. Seems appropriate here, too. Why would anybody think that this is a good idea? These aren’t Japanese onsen FFS.